We support LB 607 – “Home Care Consumer Bill of Rights.” The bill assures privacy, information to make an informed choice regarding care, services, providers, as well as accommodations and protections if home health care consumer rights are violated. It ensures that providers and staff understand, respect, and support the rights of consumers. For those who do not know their rights, it is unlikely they would be able to enforce their rights and hold appropriate service entities accountable. This is true whether their rights are not explained to them or if their rights are not explicitly or conspicuously announced. 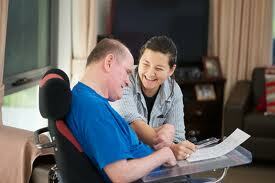 We believe our experience and skills could be useful to home health care consumers. For that reason we suggest that the Legislature add “the designated state Protection and Advocacy system for Nebraska” to the list of organizations that home health care consumers may contact if there is a perceived rights violation. Disability Rights Nebraska, as the designated Protection and Advocacy system for Nebraska, has a significant interest in the rights of home health care consumers. The language of LB 607 was replaced with the language from LB 89 after a compromise between Senator Campbell and Governor Ricketts. LB 89 proposed to increase Aid to Dependent Children payments. The new, gutted LB 607 passed the legislature and was approved by the Governor. The bill also contains LB335, originally introduced by Omaha Sen. Heath Mello, which establishes a task force to study intergenerational poverty in Nebraska.